Everyone’s familiar with the good old favorites – turkey, mashed potatoes, and stuffing – on the table at every Thanksgiving. How about shaking it up this year with some new and exciting options? 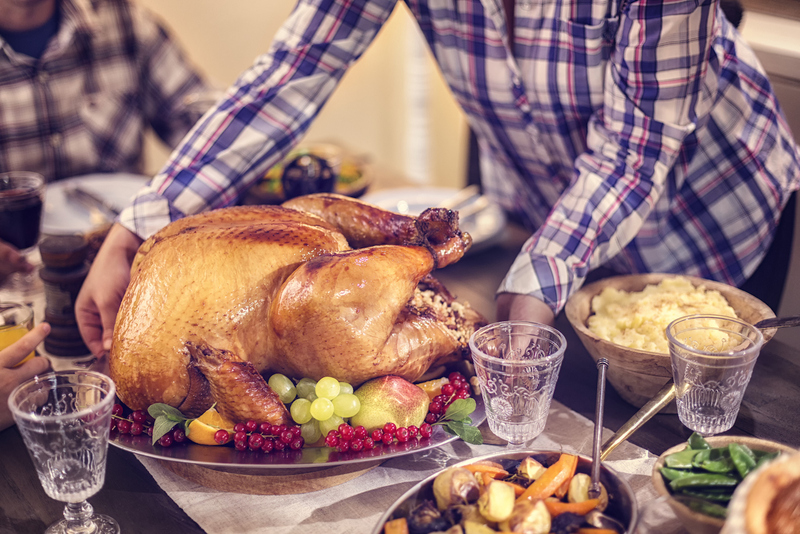 Western Union (WU) has compiled 6 unique dishes to cook for Thanksgiving that will have your family and friends singing your praises and coming back for more. Looking for a fun appetizer for your Thanksgiving guests? Rather than a stale old veggie platter or fruit and cheese plate, sweeten the deal with this unbelievable Apple Pie Salsa and Cinnamon Sugar Chips recipe. The cinnamon and nutmeg will fill your home with that warm Fall aroma, and your guests will go crazy for the cooked brown sugar that leaves a hint of caramel flavor on the apples. You’ll definitely need to pull your “eating pants” out of the back of your closet for this one. Mashed potatoes are a staple at most every Thanksgiving table, and guests will surely be disappointed if they’re missing. However, how about making things more interesting by adding a twist? This Parmesan Wasabi Mashed Potato recipe does just that. The Wasabi adds an Umami flavor (said to be the 5th flavor, in addition to salty, sweet, bitter, and sour), leaving a savory taste that will knock your socks off. These potatoes will surely be the hit of your Thanksgiving and have everyone asking for seconds (and thirds). For the more health-conscious members of your family who may be averse to traditional pies, here’s a solution: Paleo Pecan Pie. Traditional corn syrup is replaced with date paste, maple syrup, and ghee, making the pie more natural and more complex in flavor. Even the crust is healthier than normal if you follow the accompanying Paleo Pie Crust recipe. Enjoy a rich, buttery piece of pie with less guilt! Trying to get kids to eat healthier during the holidays? This amazing Greek Stuffed Acorn Squash recipe will make it happen. This vegetarian recipe of mixed quinoa, white beans, feta, and chopped greens is simple enough for kids to help out with, but offers a stunning presentation when served in hollowed-out acorn squashes. It’s sure to be the centerpiece of your Thanksgiving table and inspire your kids to eat their veggies. In the Fall, you can never have enough squash. This creamy, easy-to-make Butternut Squash and Cider soup is sure to become your new Fall favorite. Normally, making a butternut squash soup can be time-consuming, but this recipe comes together in 30 minutes, making it simple to whip up on a weeknight. Enjoy that cozy Fall feeling as you taste the fragrant herbs that compliment the buttery squash, sweet apple, and tangy sour cream. Love stuffing and muffins? Then you’ll be obsessed with this Stuffing Muffins recipe. These muffins rate a 10 on the cuteness scale, and spice up this Thanksgiving side dish that’s often taken for granted. Best of all, you can easily pop them in the freezer to enjoy with your leftover turkey after the big day. These recipes will breathe new life into your Thanksgiving dinner and maybe even inspire some new traditions in your family! Have you made any of these dishes in the past? If so, which recipes were your favorite? Let us know in the comments!